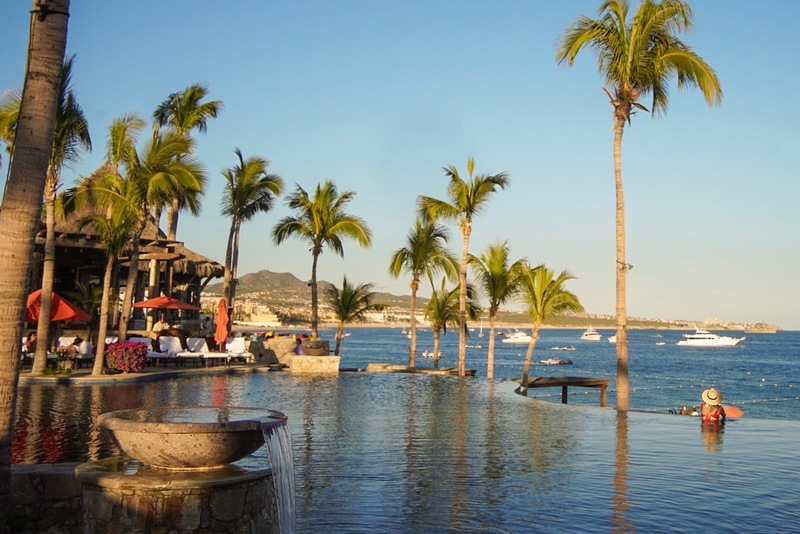 Serenity in Cabo: Hacienda Beach Club & Residences - Where to, Peanut? 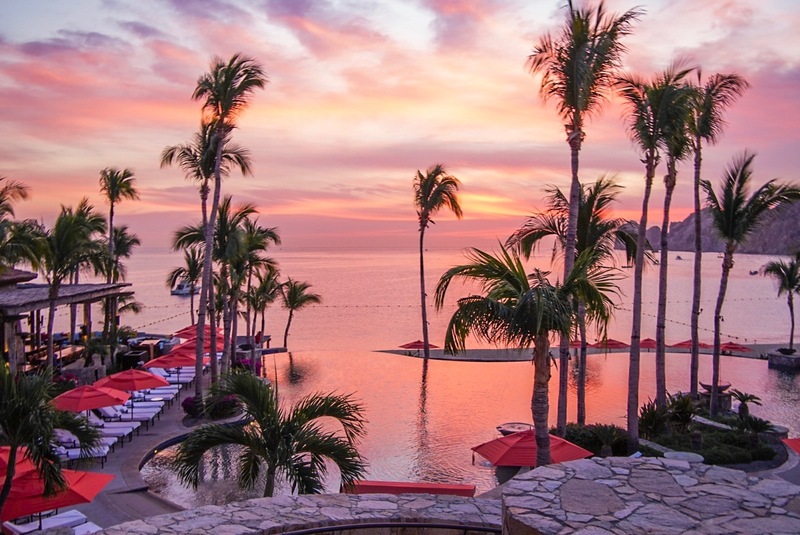 ‘Serenity’ and ‘Cabo San Lucas’ might seem mutually exclusive to most. Even our driver from the airport remarked that we were going to the, “crazy town.” A part of Mexico known largely for spring break and a wild nightlife scene might not seem like the natural choice for a peace-seeker like myself. However… I found an oasis of calm amidst the center of it all on Medano Beach at Hacienda Beach Club & Residences, and a on few peaceful excursions. Upon arriving at Hacienda Beach Club, you are greeted with a tranquil energy that stands in contrast to the busy city center located just beyond. The hotel holds an air of intimacy and warmth in its design, mostly in natural stone with terra cotta roofs, and inviting pops of saturated color in every corner. The rooms are all suites, and feature a full kitchen and living room with a seamless blend of Mexican artisan design and modern elements. Our ‘residence’ as they called it, overlooked the city and marina, and had the most wonderful sunset views. With a two-level infinity pool overlooking the stunning Medano Beach, choosing between the pool and the beach is truly difficult. 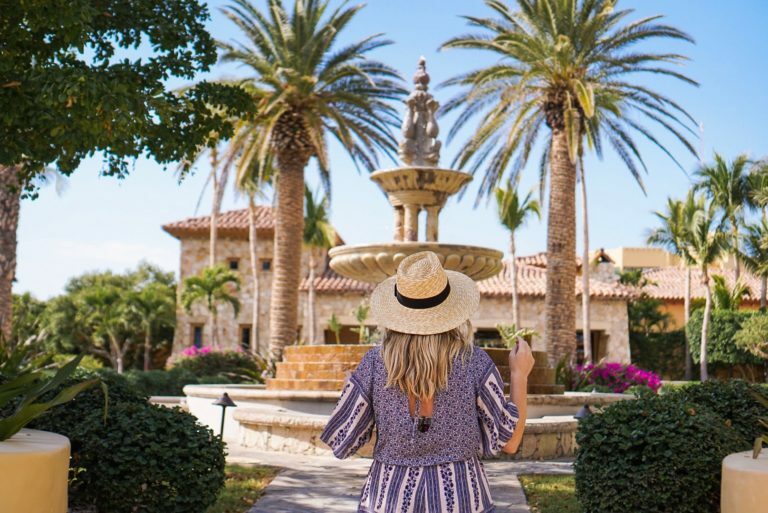 Either way, if you’re looking to escape a busy schedule, you will find it at Hacienda Beach Club. The beach loungers were set uniquely directly on the sand. In contrast to other hotels with rows and rows of chairs, there were perhaps two dozen (at most) guests on the beach in front of Hacienda. This is saying a lot as the property has an impressive amount of beachfront: several buildings of condominium-style rooms and over a dozen full villas that flank the beach. The pool was equally peaceful, with plenty of lounge chairs at all times of day in the sun and shade, downtempo music playing in the background. The ambiance of the restaurant on the property, Hacienda Cocina y Cantina, was beautiful. 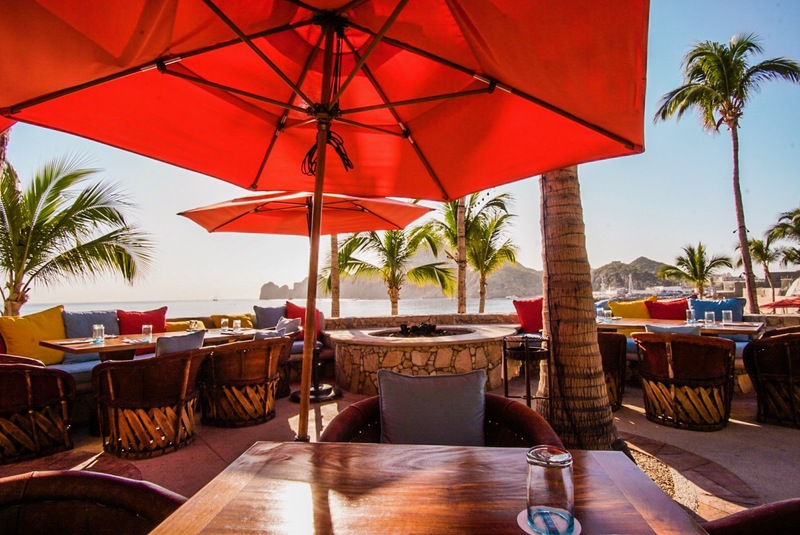 With brightly colored pillows, and a terrace overlooking Land’s End, the delicious jamaica margaritas and flavorful carnitas tacos were all but an added bonus. 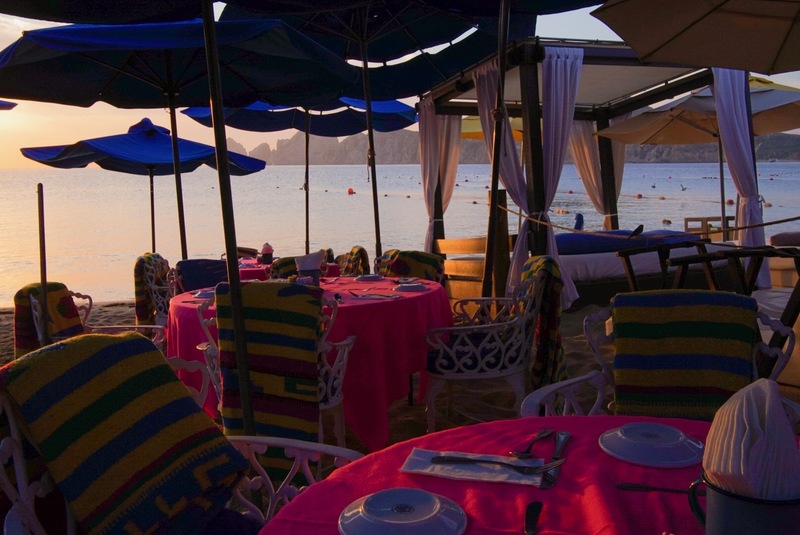 The best breakfast in Cabo is only a short walk down the beach from Hacienda Beach Club at The Office. As vibrantly colorful as it is delicious, The Office boasts the best chilaquiles verdes I have had in Mexico — and I have sampled many! Bonus: you get to eat with your toes in the sand! My favorite dining experience, however, while in Cabo was, by far, El Farallon. 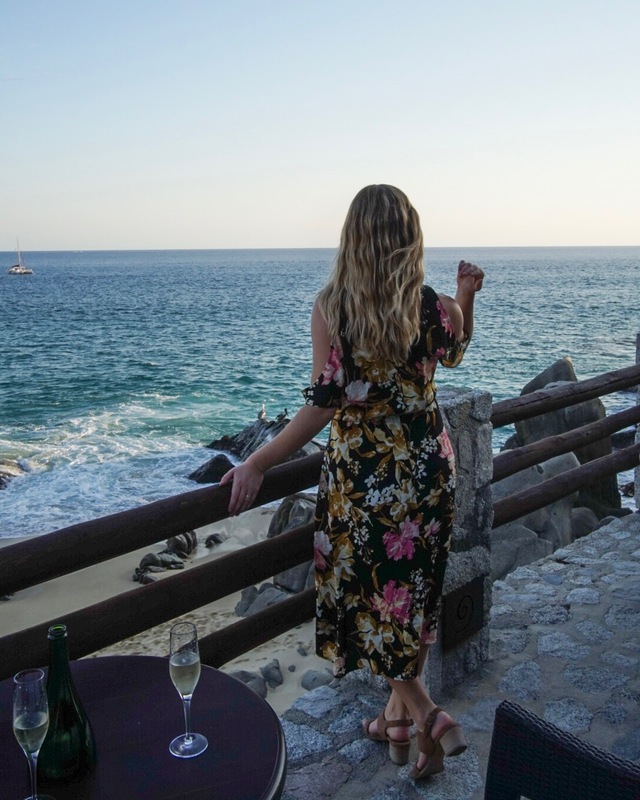 Just ten minutes from Hacienda Beach Club, set into the cliffside along the west side of Playa Solmar, El Farallon is reminiscent the Grotto Palazzese — the cliffside restaurant which resides on every Pinterest board I’ve ever seen. A ‘fish expert’ walks every table through the menu in front of a glass case of the catch, educating diners about their choices. All are local, and caught the same day. I chose a Mexican Sea Bass, which came out so simply yet flavorfully prepared, that I all but ignored the accompanying sauces that were brought to our table — a rarity for me! The meal comes with four courses and just begs you to linger. Though we got the earliest reservation of the night (5PM) due to a lack of availability, it was perfect for watching the sunset over the sea. Though a splurge, dinner at El Farallon is truly an experience beyond the meal itself. 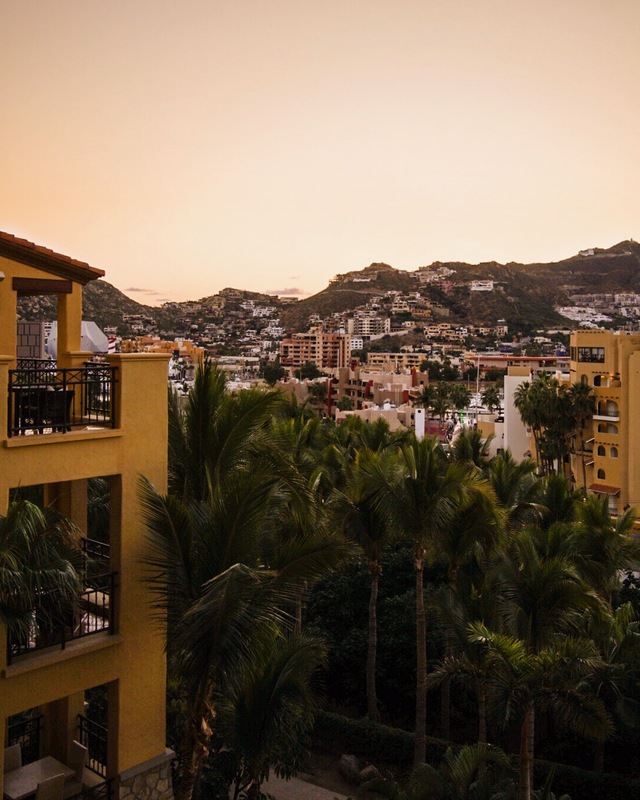 Bonus: the restaurant is located on the grounds of the stunning Resort at Pedregal, which is beautiful to walk around before or after your reservation. You also get to pass through a tunnel in the mountain filled with lit chandeliers a la James Bond to arrive at the restaurant. Magic. 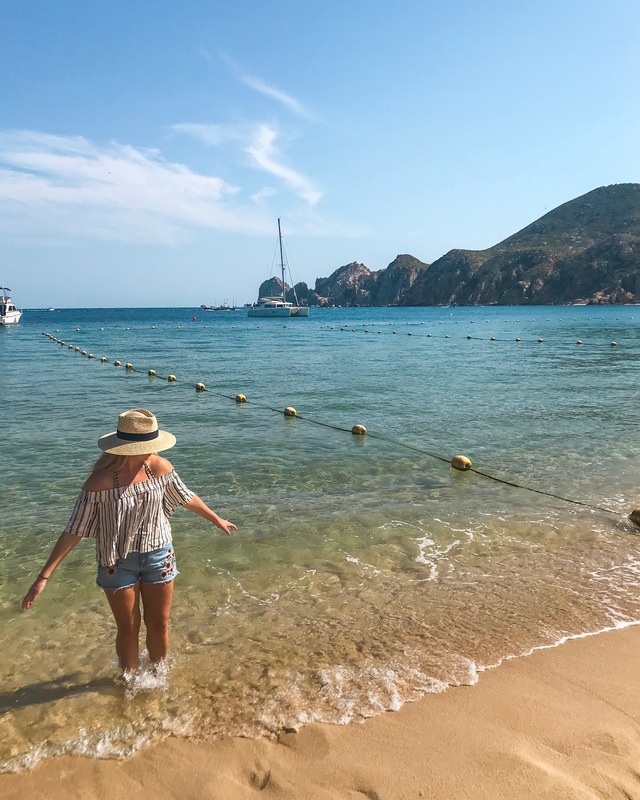 Although eating, watching the sunrise, and lounging at Hacienda Beach Club could have easily consumed my entire long weekend, getting out to see the beautiful coastlines of Cabo was a priority of mine. 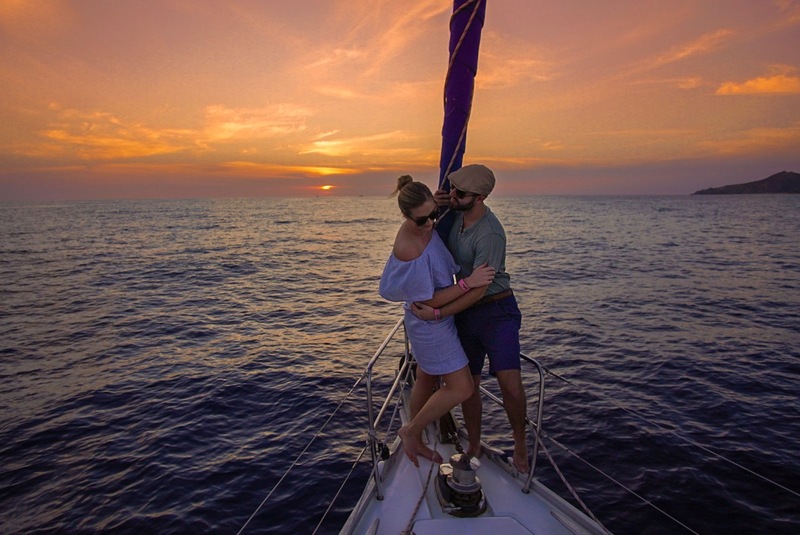 I chose a sunset sailing trip with Cabo Adventures. Located just a few minutes from our hotel, we set sail from the marina shortly before dinnertime. 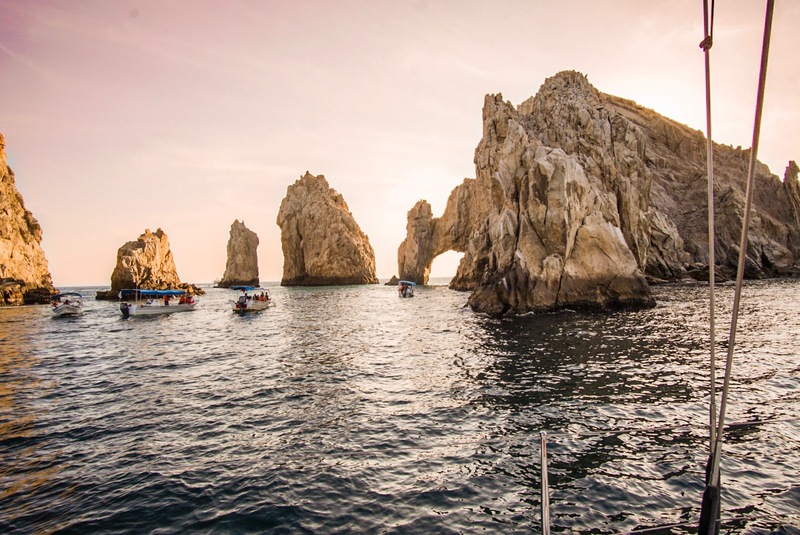 In perfect golden hour light, with perhaps a dozen others aboard, we viewed the famous ‘Arco’ of Cabo, while sipping wine and enjoying the warm sea breeze. Coming out of the Sea of Cortez out into the open Pacific ocean gave way to stunning views of several beaches, including Playa Solmar, which we overlooked at our dinner the night before. Though described as ‘appetizers’ we were served a large bento-box absolutely overflowing with different foods. It was absolutely enough for dinner, which made the sailing trip an even better value. Watching the sunset over the Pacific was an unforgettable experience. Though I generally have issues with seasickness, the water was exceptionally calm in January, and I felt great aboard the boat. Perhaps it was the wine, but perhaps it was the stunning views. When I think of winter sun, Los Cabos is now immediately ingrained in my conscience. The perfect serene atmosphere at Hacienda Beach Club, though something I contemplated keeping a secret, is something I hope you can experience yourself. 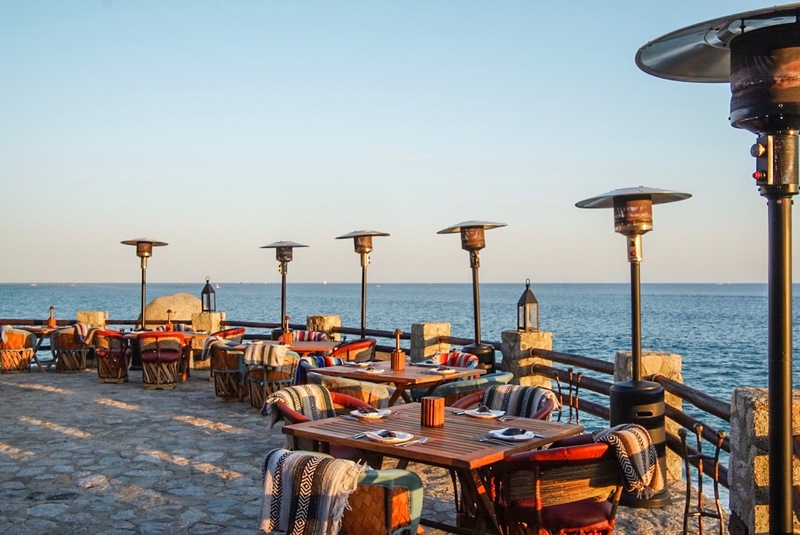 From a lively beach scene with flawless January weather, to some of the best eats from street food to fine dining, Cabo has something for everyone. Even for peace seekers like myself! PLEASE NOTE: Before our trip to Mexico, many friends and relatives expressed concern following recent upgraded warnings for travel to Mexico. Though the entire country of Mexico is now rated at an “use additional caution” level, I would like to point out that European countries such as the United Kingdom and France both share this level of warning. 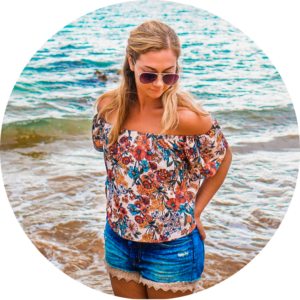 The entire time I was in Cabo San Lucas I was greeted with nothing but kindness, respect, and positivity. I never once felt unsafe. This is SO AMAZING, dear! What an incredible experience ? 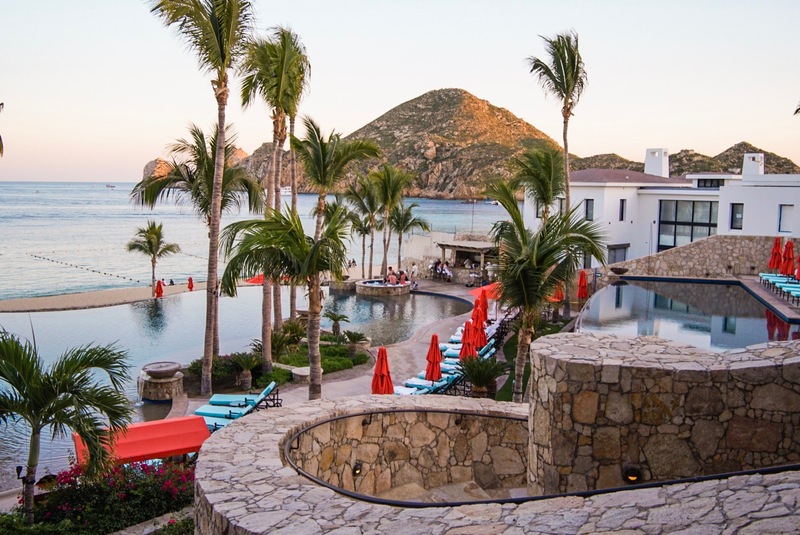 This hotel will be my first choice when I book a trip to Cabo!